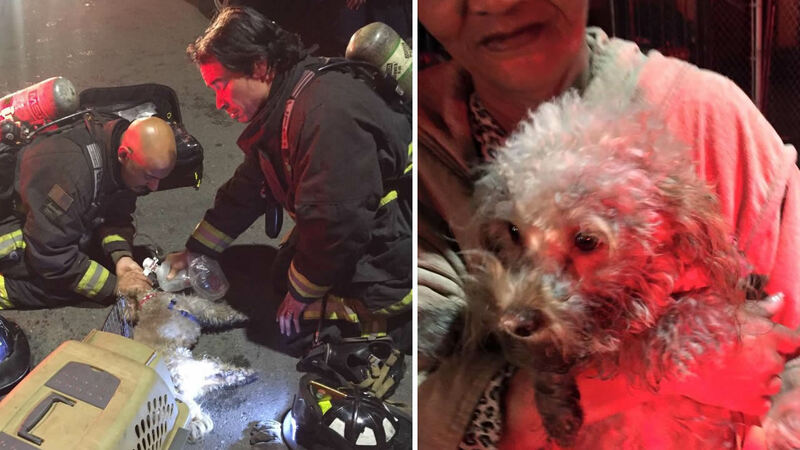 OAKLAND, Calif. (KGO) -- Oakland firefighters saved a dog that lost consciousness in a house fire. They worked hard to resuscitate him after finding him inside a crate at a home on 85th Avenue. They put a "snout mask" on to help him breathe. Oakland firefighters are happy to report the pup is doing well. They posted photos on Facebook on Wednesday.